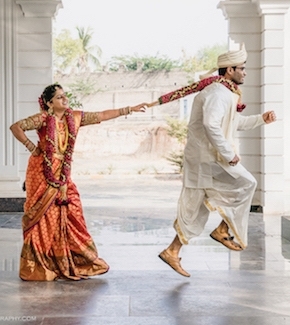 Indian Weddings are flourishing in every possible dimension. Whether it’s the size, grandiosity, budget, style or panache, it’s growing like never before. When it comes to Bollywood Celebrity Weddings, we can never get enough of their fairytale-like on point events. While some of us start grabbing the ideas for ourselves, some actually start to look for the “Dream Team”, the Celebrity Wedding Planners who made it all possible. We are going to list some of the top Bollywood Celebrity Wedding Planners. The magicians who created the most spectacular ‘billion-dollar weddings’ for some of our favourite Bollywood stars. 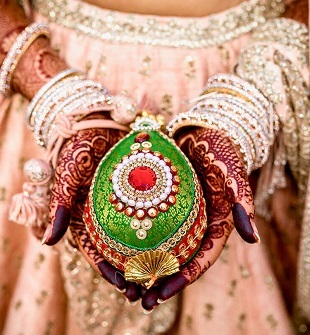 Gurleen M Puri is an A-class wedding and event planner based in Mumbai. She is known for her high profile client list. She has worked for the big shots including Aditya Chopra, Adnan Sami, Karan Johar, Akshay Kumar and Twinkle Khanna. She was the wedding planner for Kareena Kapoor and Saif Ali Khan’s marriage that took place at the Taj, Mumbai. A Mumbai based wedding and event planning company owned by the Director, Farid Khan and Bhavnesh Sawhney. Wednishka has conducted many high profile events like Shilpa Shetty’s 40th birthday bash, Make In India Gala Dinner for the Prime Minister, Narendra Modi, South Indian actress Shriya Saran and many more. They were the hands behind the power-packed back to back wedding events of none other than Sonam Kapoor and Anand Ahuja. Are you having the flashbacks? They pulled off a perfect wedding be it the mehendi ceremony, pre-wedding parties, d-day, reception party, it was glorious. It is a Thailand based wedding planning company formed by the mother-daughter duo Nipunika and Kripa. They specialize in their ability to keep it well equipped to the requirements of the client. They take care of the clients from the minute personalised details like wedding flowers, food caterers to the travel hustle for the destination weddings taking place in Thailand. The best feature is they can work with the same effectiveness with a broad range of budget that makes them customer-friendly. Bollywood Actress Amrita Puri (Daughter of big-time actor Late Amrish Puri) and Imrun Sethi were married in Thailand in an efflorescence close-knit wedding. Owned by Aditya Motwane, Motwane entertainment is a big name when it comes to celebrity wedding planners. He is one of the finest planners for high profile exorbitant weddings. This Mumbai based company has done some great work planning Arpita Khan’s wedding in Hyderabad and Hinduja and Mahtani wedding in Jaipur. They were responsible for the low key, yet gorgeous wedding of Indian cricketer Zaheer Khan and Bollywood actress Sagarika Ghatge. Dreamzkraft is also a Mumbai based wedding planning firm inhabiting 3 directors- Priti Sidhwani, Sundeep Sidhwani and Trishant Sidhwani. Dreamzkraft has come a long way working for over 5000 events in a short span of 15 years. They have executed too many events to call them ‘not old enough in the business’. They started off in 2002 and gradually climbed up to the top. They created decors and sets for famous Bollywood movies and shows like Don and Koffee with Karan (season 3). They are the Bollywood celebrity wedding planners for Shilpa Shetty and Preity Zinta. One of their projects that we can’t forget is Anushka Sharma and Virat Kohli’s Wedding. Yes! Dreamzkraft was the ‘Krafts-men’ behind the dreamy wedding last year. From the pictures, decor, background music, floral arrangements and the perfect destination for the lovebirds, Lake Como (Italy), everything was picture perfect. The founder of the company Vandana Mohan is one of her kind herself and needs no introduction. She was pretty much the first woman to come up in the wedding planning business and has not stopped ever since. She has done over 500 events including handling the events of the Hollywood star singer Katy Perry and Russel Brand’s wedding in India. 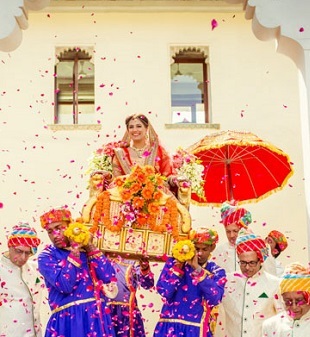 She has become the most top-notch Bollywood celebrity wedding planners after curating the most awaited weddings of 2018, DeepVeer’s wedding nuptials in Lake Como, Italy and Mumbai. India’s top leading Bollywood actress Priyanka Chopra and Hollywood’s top leading pop singer Nick Jonas tied the knot in Jodhpur this year recently and it doesn’t need any words. It has been in news and media all over crashing the social platforms. The wedding videos and pictures have been telling us what a humongous wedding it was. The magic wands were held by Motwane Entertainment and Weddings group to create the wedding on which everyone went gaga. 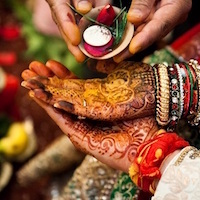 The wedding design and decor of the Indian ceremonies (Mehendi, Sangeet and Hindu wedding ceremony) were done by Abu Jani Sandeep Khosla and the wedding Reception in Delhi was curated by WeddingLine Design Studio. You’ve got it all covered now. If you are planning a Big Fat Indian Wedding and that too of the celebrity level, you know where to go. Go on and flaunt your wedding planner to your friends. Happy Glam Weddings to you!